The Club is located in room 7 of Shrewsbury House Community Centre, and our venue is a large old historic grade II listed mansion house set in a quiet private estate on top of Shooters Hill. The Salle in which we fence has a wooden floor for a piste, and we have a full armoury containing both beginners basic safety equipment and the latest specification electric fencing equipment available for use by our members. There are a number of free spaces in the Shrewsbury House car park, as well as outside the premises on Bushmoor Crescent, which is a quiet road. Route 244 stops nearby on Eglinton Hill. 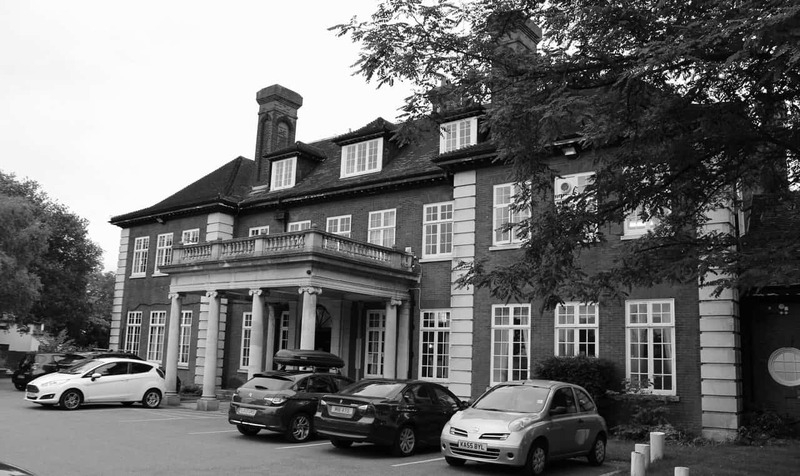 Routes 486 and 89 stop at Shooters Hill Memorial Hospital, five minutes walk from the club. Routes 51 and 53 stop on Plumstead Common Road, from which the club is ten minutes walk up Plum Lane.